People joke at the beginning of the week about having a “case of the Mondays,” but on January 29, 1979 San Diego teenager Brenda Ann Spencer took her Monday morning angst way too far. Right as classes were about to begin at Grover Cleveland Elementary in a suburb just outside of San Diego, the crack of a rifle shot broke through the sound of the school bell ringing and the chatter of the children preparing to enter the school. Chaos ensued. With children falling to the ground, bleeding and screaming, and bullets seemingly coming from nowhere; it took a few moments for it to register that a sniper was deliberately aiming at the kids from one of the houses across the street. The school’s principal, Burton Wragg, rushed outside to help the injured children and get the others inside to safety, but was shot in the chest. When the janitor attempted to aid the dying man he too was shot. Faculty and students barricaded themselves within the building, while nurses did what they could to tend the wounded. When the first police officer arrived on the scene, he was shot in the neck. The carnage didn’t abate until another police officer and a security guard procured a garbage truck and parked it in front of the school, blocking the sniper’s line of sight. A reporter dialed the phone number of the house the police had identified as belonging to the sniper. To his surprise, someone answered. On the other end of the line was 16-year-old Brenda Ann Spencer, a truant, drug user – and sharpshooter. After admitting that she was the one responsible for the shootings, the reporter asked her the obvious question: Why? “I don’t like Mondays. This livens up the day,” She replied. Two people died that day, and eight others were injured. Brenda’s case never went to trial. She accepted a guilty plea of two counts of first-degree murder and assault with a deadly weapon. She was sentenced to 25-years-to-life, with the possibility of parole after 25 years served. 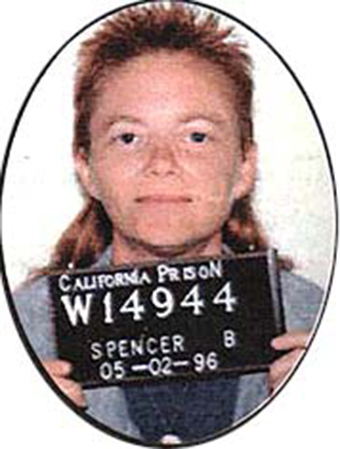 Aside from her chilling comments made during the stand-off the day off the crime, Spencer had remained silent about any motive or provocation for the 1979 shootings. Then 14 years later, she claimed that during the crime she was drunk on whiskey, and high on angel dust and pot. Her assertion was not backed up by the 1979 toxicology report, which showed that at the time of the shootings Brenda was sober. She also made the claim that her father had been abusive to her. By her 2005 parole hearing, she claimed she had no recollection of the event at all. Her next hearing will be in 2019 when she’ll be 57 years old. Brenda Spencer’s crime and her bizarre justification for committing it (I Don’t Like Mondays) was the inspiration for Bob Geldolf’s band, The Boomtown Rats, song of the same name.